What the white mass-shooter myth gets right and wrong about killers’ demographics. Where the myth came from, and what it gets right and wrong about the demographics of mass killings. Stephen Paddock, 64, the gunman who attacked the Route 91 Harvest music festival in Las Vegas on Sunday. 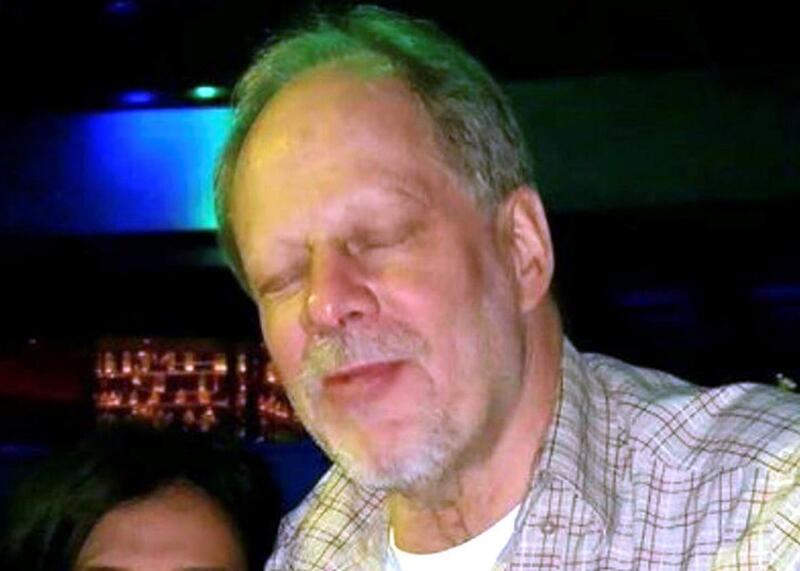 Stephen Paddock shot more than 500 people from the windows of his Las Vegas hotel room Sunday night, killing 58 of them. In the days since, a familiar story has been passed around the internet about the blinkered way in which we talk about these sorts of massacres. We’re so quick to blame Islamic terrorists, this story goes, that we don’t address the stark, distressing truth about mass shootings. The killers aren’t angry immigrants, by and large. They’re white men. In a narrow sense, these stories are correct: The plurality of mass killers are white. But the notion that white men of privilege are disproportionately represented among mass shooters—indeed, that they make up “nearly all” of them—is a myth. The myth began to spread in July 2012 after a 24-year-old white man, James Holmes, murdered 12 people in an Aurora, Colorado, movie theater. That summer, a team of researchers at Mother Jones put together a database of rampages in public settings. Among the 62 cases (and 64 total perpetrators) the team reviewed—instances dating back to 1982, in which at least four people had been killed in a public place—44 of the killers were white men and one was a white woman. In total, about 70 percent of the perpetrators in the database were white. That figure didn’t get much notice until December 2012 when another white man, 20-year-old Adam Lanza, shot and killed 26 adults and children at an elementary school in Newtown, Connecticut. At that point, more people started taking notice of these killers’ demographics. A week after the shooting, Stony Brook University sociologist Michael Kimmel and graduate student Cliff Leek wrote a blog post for the Huffington Post headlined “The Unbearable Whiteness of Suicide-Mass-Murder.” “We need to broaden the conversation” about these crimes, they said, to include the “often unspoken elements” of gender and race. According to their intersectional theory of mass shootings, white men “want to destroy the entire world in some cataclysmic video-game and action movie-inspired apocalypse”—a feeling Kimmel and Leek attributed to the white man’s sense of “aggrieved entitlement.” To support this point, the sociologists claimed 80 percent of the mass murders perpetrated by teenagers over the preceding three decades had been committed by white men. Since 2012, Mother Jones has added 29 more mass-shooting events to its database (and tweaked its definition of the crime to fit with new federal guidelines that placed the threshold at three victims instead of four). In this bigger data set, the proportion of white mass shooters drops down to 56 percent, by my count. Judging by those newer numbers, and the most current census estimate that 76.9 percent of Americans are white, the whites-are-overrepresented-among-mass-shooters meme appears even less accurate. Perpetrators that Mother Jones classifies as Asian make up 7.4 percent of the data set, versus an estimated 5.7 percent of the population, while those MoJo identifies as black represent 17.0 percent of the mass shooters in the database versus an estimated 13.3 percent of the population. According to this data set, then, Asians and black Americans are overrepresented among mass shooters by about the same proportion (a bit more than one-fourth) that whites are underrepresented. This means the population rate of mass shootings by whites (at least according to the tiny sample measured in the MoJo database) is 0.021 per 100,000 people, while the corresponding rate of mass shootings by blacks is 1.7 times higher, at 0.037. This disparity, which could be thought of as the statistical non-whiteness of mass shootings, is much smaller in magnitude than the one for killings nationwide. Overall murder rates among black Americans are 6.3 times higher than they are for whites, according to a report from the Bureau of Justice Statistics. Another report suggests white offenders made up just 45.3 percent of everyone who committed homicides between 1980 and 2008. * In other words, white Americans may be somewhat underrepresented among mass shooters, but they’re even more underrepresented among all killers. In that limited sense, it would be fair to say that whites are responsible for more public massacres than you might expect. Does that mean their whiteness is a factor in these crimes? It’s possible—but given all the numbers above, I think it makes more sense to ask why those classified as non-white might be disproportionately represented among killers, from mass shooters down the line. The answer there would seem to have everything to do with privilege. Structural inequalities related to education, employment, housing, and health care, along with de facto segregation and a history of discrimination and bias, create conditions under which black Americans in particular are more likely to be both the perpetrators and the victims of this violence. More than half of those committing homicides in the BJS data set are black, and close to half of the victims of those homicides are black. These statistics show us that in a global sense, a lack of privilege contributes to killing and that white privilege kills, at least in part, through the reciprocal cost it imposes on to other groups. Two years ago, University of Alabama criminologist Adam Lankford took a closer look at these and related questions. His research started from the common claim that “mass murders and mass shooters are different from most criminals in the United States, because they are almost always white.” After rooting through the scholarly literature, Lankford says he could not find a single empirical study of the race and ethnicity of mass murderers. To make up for this gap, he analyzed a database of mass killings from the years 2006 to 2012 compiled by USA Today. Then he compared the race and ethnicity of the 308 killers in that database to those of 87,000 other U.S. killers, using data from the FBI. But Lankford found some nuance in the data, particularly when it came to the most horrific massacres. According to the study, white and Asian mass murderers perpetrated crimes with more victims, on average, and they were more likely to carry out those crimes in public places. Nearly one-fourth of the white mass murderers and one-fifth of the Asians in the group engaged in public killings. Among the black mass murderers, this proportion was just 6 percent. Lankford suggests the relative whiteness of public killings, in particular, could indeed result from structural advantage and “aggrieved entitlement.” At the same time, he says, those public crimes get far more media coverage than any others—a factor that might reinforce the false belief that mass murder is a mostly white phenomenon. All of that is a very long way of saying the data don’t support the whites-are-overrepresented-among-mass-shooters meme. On the other hand, they do back up the notion that these killers are nearly always men. In the Mother Jones database, 97 percent of the listed killers are men; in the one from USA Today, that number is 94 percent. This is not a phenomenon that’s unique to mass shootings—most killers of all types are men. It’s a huge, overall effect: According to the BJS statistics, men committed 90 percent of all homicides between 1980 and 2008, as well as 92 percent of those involving guns. While it may be true that men are even more overrepresented among mass shooters and mass killers than they are among “normal” killers, blaming those differences—slivers of the data, really, between 90, 92, and 94 percent—it seems wrong to blame mass killings in particular on toxic masculinity. That’s because male rage can be deadly at any time or any place, and at every level of analysis. The whites-are-overrepresented-among-mass-shooters meme does serve a useful purpose in that it helps displace another myth about mass shootings: that they’re most often perpetrated by angry immigrants from travel-banned countries, and that nothing is more dangerous to America that the scourge of Islamic terrorism. By shifting focus from this hazy, overstated foreign threat to something clearly U.S.-made, the meme also calls attention to the tilted rhetoric that surrounds such killings. It forces us to grapple with the biased language of “lone wolves” and who, exactly, gets to be a “terrorist.” It also makes us notice the opportunist invocation (or disregard) of mental illness, and it casts a light on our desperate need to find a motive for acts of utter evil. These are worthy ends, but we shouldn’t have to build another myth to reach them.